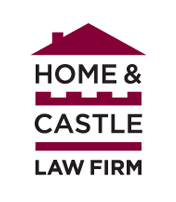 A lawyer answers all your questions relating to business, real estate, civil and criminal litigation, and family law. Welcome! Note to Self: Avoid having to hire a lawyer on my deathbed. Unfortunately, many people will give the details of their final wishes on their deathbed, in the company of a lawyer. As sad as this sounds, it happens everyday. Many people will avoid making a will until they are forced to do so. When someone who is gravely ill requires a will, a family member or good friend will usually call a lawyer for them. The lawyer will attend and usually find: someone who cannot give proper instructions or someone who is reluctant to do so. The only thing worse than making a will must be making a will on your deathbed. In the first instance, obtaining instructions and a signature usually becomes a problem. In the second instance, obtaining any cooperation on the part of the ill person is the main problem. In a recent trip to a hospital to do such a will, I encountered a person who was very distraught and unwilling to provide any instructions. Needless to say, they did not appreciate my visit. Giving the details of your final wishes under these circumstances is the worst case scenario that everyone should avoid. It is also important to remember that when a will is created under such circumstances, it is open to the possibility of being challenged. The common challenges are: the person was incapable of giving proper instructions or they were subject to some undue influence. I wonder how many people who hired a lawyer at the last moment of their lives to create a will, also realized that they were unfortunately hiring a lawyer to handle the litigation of their estate as well. This entry was posted in Law Blog on April 18, 2005 by admin.